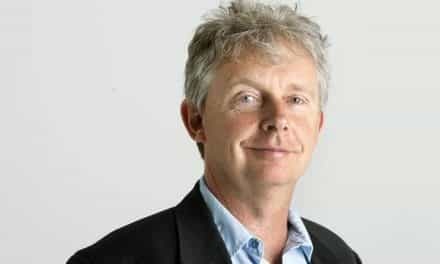 Kennedy Warne is editor-at-large for New Zealand Geographic and outdoors correspondent for Radio New Zealand’s Nine to Noon programme. 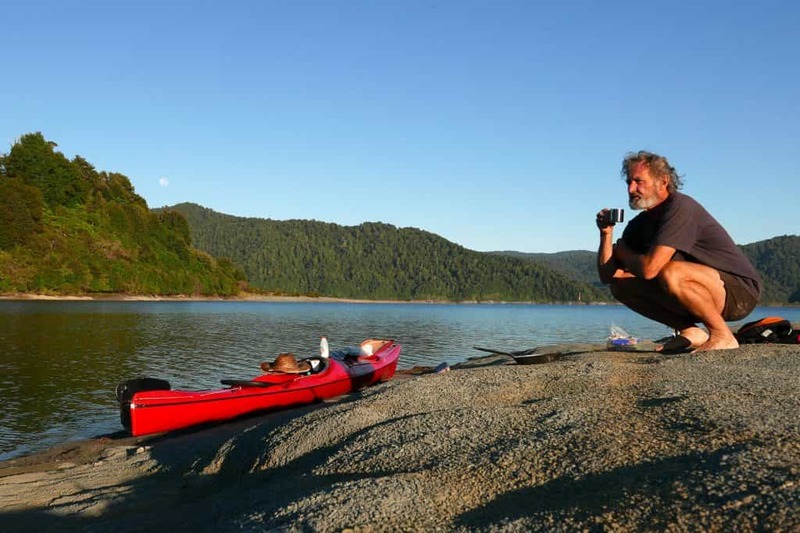 A geographical explorer for 30 years, he considers his most important exploration to have been cultural and spiritual: an awakening to te ao Māori. He wrote about this journey in a chapter of the just-released book Listening to the People of the Land: Christianity, Colonisation and the Path to Redemption, a collection of commentaries and personal reflections about the harmful connection between settler Christianity and colonial agendas, and how contemporary churches have sought to chart a path of healing based on the principles of radical repentance and humble attention to tangata whenua. The work of reconciliation between races and worldviews seems only more urgent in the wake of the atrocity in Christchurch, where the contagion of white supremacy demonstrated its virulent power. When I scroll way back in memory, I see a man on the corner of Bell Road, in Mangatawhiri, east of Auckland’s Bombay Hills. The man is Māori, and he works for my great-uncle on a farm carved out of the Pokeno peat swamps. I loved that farm, where I often went to stay during school holidays. It introduced me to country ways, to time not measured by hours but by jobs accomplished — cows milked, sheep shorn, hay brought in, hay fed out, the ten thousand tasks of farm life. The name of the man at the corner of the road is Gordon. To this day, that’s all I know about him. I don’t even know his surname. But there he is, in memory’s eye. Why is that? Why does an unknown man linger there? Even at that young age, was something being born in my unconscious — the seed of the thought that coming to know this country’s first people was a path I would one day walk? Getting from there to here — seeing in the hired man on the roadside the incarnate face of the land, the radical identification expressed in the now familiar phrase used by Whanganui Māori: “Ko au te awa, ko te awa ko au,” I am the river, the river is me — was a slow awakening. There were some cultural blinkers to discard along the way. I grew up Baptist. Each year, our church held a camp at Henderson’s Carey Park, named for the “father of modern missions,” William Carey. I knew several missionaries who served with the Baptist Missionary Society, which had been formed on the basis of Carey’s essay An Enquiry into the Obligations of Christians to Use Means for the Conversion of the Heathens. What I didn’t know — and, quite possibly, wouldn’t have perceived as problematic — was that Carey’s view of indigenous people was, in today’s terms, deeply racist. Māori were “in general poor, barbarous, naked pagans, as destitute of civilisation as they are of true religion,” opined Carey, articulating a view that was, in his times, as unremarkable as the law of gravity. 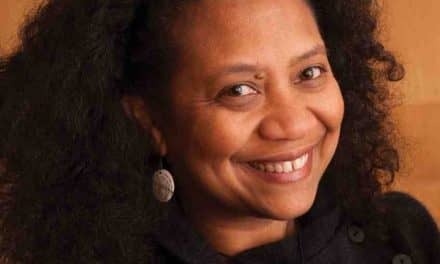 Such stadial thinking, which ranks human societies hierarchically from civilised to primitive, “was at the heart of the evangelical enterprise,” writes Anne Salmond in her recent book Tears of Rangi, in which she explores the “collision of cosmologies” which occurred when Europeans arrived in Aotearoa. Who can fully enumerate the sorrowful consequences of the disparagement and suppression of Māori cosmology? Of all the early missionaries, only Thomas Kendall — conflicted, erring Kendall — engaged with an indigenous worldview that fascinated and entranced him. It all ended sadly for Kendall. Salmond writes that the paradox of representing Christendom while embracing Māori thought “tore him apart.” He was a tragic casualty of the cosmological collision. While Kendall wavered in his assurance of European superiority, his fellow missionaries were resolute. One consequence of their certainty that their view of reality carried the divine imprimatur is that Māori concepts became weakened — eviscerated, even — by their rendering into English by missionary translators. Forced to fit a European worldview, writes Salmond, they were cut adrift from their true meaning. This is particularly apparent for words that relate to ontological concepts. The missionary translators were keenly attuned to anything that smacked of idolatry, so the act of translation naturally involved the reduction or removal of what they saw as heathenish errors. Thus, as Salmond enumerates, an atua, a powerful ancestor, lost all sense of personal connection and was rendered a disembodied god. Wairua, the totality of a person’s immaterial being, became compartmentalised as spirit. Tapu, stripped of ancestral presence, became merely a category called sacred. Likewise noa, rather than fulfilling the role of yin to tapu’s yang, was demoted to profane. A tohunga, an expert steeped in ancestral knowledge, became a religious priest (or, worse, a witch doctor). Karakia, chants which in their very utterance invoke the breath of life, turned into supplicatory prayers. Utu, the principle of reciprocity, was narrowed and sensationalised as revenge. Whakapapa, the matrix of connections among all human and nonhuman life, dwindled into mere genealogy. But, as I say, I grew up knowing none of this. The hard shell of Pākehācentric thinking had yet to crack open. An awareness of Māori connectivity to land was my first awakening moment. It happened early in my tenure as editor of New Zealand Geographic — in 1989, in fact, when the magazine was less than a year old. One of our photographers had produced a set of evocative images of the Spirits Bay–Cape Reinga area. I had pictures, but no text. Who could write words that would catch the essence of that spiritually charged landscape — the leaping place of the departed? I was given a name: Saana Murray. She was a poet, an elder of Ngāti Kuri, the tribe of that place, and a keeper of the long-burning fires of her people. After some phoning around I found that she was in Ōtara, staying with the family of one of her 13 children. I drove to the house and showed her the photographs and asked if she would be willing to write something. What she wrote was up to her, I said. I wanted to capture the spirit of the place. She said it as if it she were stating the obvious. Yet it was the first time I had heard such a thing: that words about the land required the presence of the land. That knowledge was inseparable from its context. For someone steeped in scientific thinking — a mindset in which knowledge is something endlessly transferable, a form of currency — it was a challenging thought. For a moment, the fabric of my fact-based worldview started to fray, and I caught a glimpse of another country. I have come to learn that this is the country Māori inhabit. In the Māori way of thinking, context is vital. Knowledge is not disembodied information but part of a living matrix of encounters and relationships, past and present, natural and spiritual. Saana cared deeply about Māori knowledge, and she asserted that tangata whenua (the people of the land) are its rightful and necessary custodians. 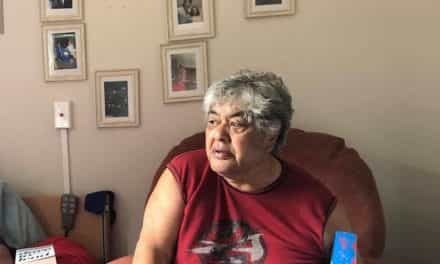 She believed that the Treaty of Waitangi guaranteed the custodianship of Māori things by Māori people, and it pained her that that guarantee had not been honoured. Yet Saana never stopped believing in the Treaty. “I was born to the tune of the Tiriti of Waitangi,” she once wrote. It was a tune she would sing all her life. 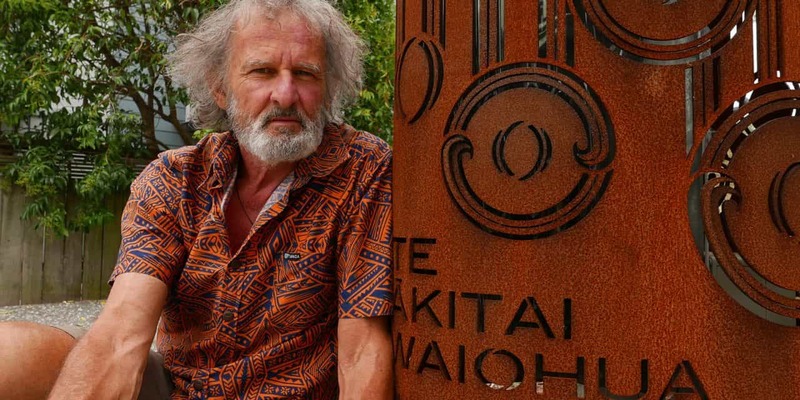 Two years after New Zealand Geographic published the Spirits Bay story, Saana and five other iwi representatives lodged the Wai 262 “flora and fauna” claim with the Waitangi Tribunal. It was a claim, among other things, about Māori control of Māori intellectual property. When, after 20 years of research and deliberation, the tribunal delivered its report in 2011, Saana was the only one of the original claimants still alive to read it. Then, later that year, she passed, too. I heard the news while driving to the Bay of Islands. It was already the last day of the tangi, and she was due to be buried that afternoon at Spirits Bay. There was little chance I would get there in time, but I wanted to pay my respects to a woman whose influence I had felt for 20 years. So I kept driving. It was dark when I arrived at te muri o te motu (“the tail of the fish” — the tip of the North Island). As I had expected, the tangi was over. The place seemed deserted. 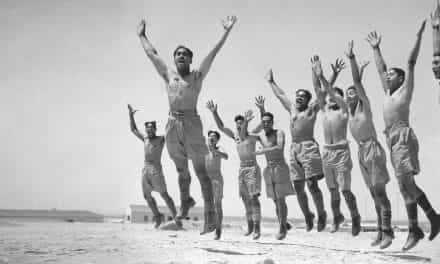 Then I heard dance music and children’s laughter and the clink of bottles coming from a small marquee surrounded by a clutch of cars and caravans. I walked over. “I’m looking for the whānau of Saana Murray,” I said. I sat in the tent with a smoked trevally and a Lion Red and listened as one of the granddaughters-in-law told me about Saana’s passing. Saana had felt, at long last, that her work for the iwi was done. She had fought her battles and could rest now. So when the latest bout of illness came, she let herself be taken. Hers was a completed life. How many of the living achieve such closure at death? I knew about a few of her battles. 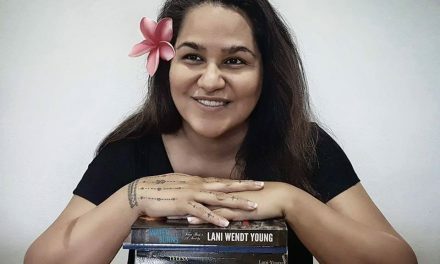 When her own mother lay dying, she had asked Saana to promise that she would endeavour to “retrieve the land and ratify the Treaty.” Land and Treaty became the wellsprings of Saana’s energy and passion. For 40 years she pleaded her people’s cause to politicians, ombudsmen, governors-general, talkshow hosts, judges, even the secretary-general of the United Nations. One of her battles was over sand — specifically the dazzling white sands at the entrance to Parengarenga Harbour, the raw material of New Zealand glass manufacture. The dunes were Ngāti Kuri land. A century of mining and dredging had left the dunes scarred, vegetation damaged and kai moana smothered. Saana fought to stop her people’s land being sucked away for Pākehā profit. She prevailed, and today the dunes lie unmolested, glittering in the sun. In the dark, I followed the path which led to a tiny urupā: just four graves. It was a path Saana would have walked often, for her own son is buried there. Saana’s plot was mounded up with sand and covered with flowers, kete and keepsakes. Jammed into the middle of it was a young tī kouka. Its long leaves were rattling in the wind — one of the quiet anthems of the north. The moon was up and the surf was glowing in its light. The scene was uncannily similar to the opening photograph of our Spirits Bay story, two decades earlier, in which a solitary white bird soars across a wide expanse of sea. I had entitled the story “A spirit’s flight.” Those words sat well in my mind as I bade farewell to another spirit, flying away home. A year later I was in Te Urewera, writing about Tūhoe’s long walk to justice and having a little more cultural sleep rubbed out of my eyes. One night, in Waimana, some whānau were explaining a word I had heard several Tūhoe using: matemateaone. Cynthia Turuwhenua said that it was a feeling of being wrapped and cocooned by the earth. Like being privy to the yearning that Ranginui, the sky father, feels for Papatūānuku, the earth mother from whom he is eternally separated. I had felt those very things in the Urewera forests. Once, at midnight, I stepped outside a hut on a high forest ridge and almost stumbled with vertigo. The stars were thicker than I’d ever seen — great clusters of light spangling the sky — while immense trees thrust upwards to greet them. It felt as if I was witnessing visceral contact between Rangi and Papa. At dawn I walked to a bluff with a view of mist-wreathed valleys and listened to kōkako, the soul of the forest, the bird that Tūhoe say mediates between wairua time and people time. Kōkako seem not to simply sing their notes, they send them into the world as gifts, painting the forest with song, drawing the listener into the music. In such times the curtain between natural and supernatural feels thin, like a membrane allowing passage from one side to the other. The more I get to know te ao Māori, the thinner that membrane seems to get. This interpermeation of the physical and the more-than-physical realms, natural and supernatural, sits awkwardly in the Western world view, but comfortably in the Māori one. Physical and spiritual are children of the same parents. Intimations from beyond are known, expected and trusted — though less so today than in the past, when colonial thinking had yet to erode Māori cosmology. 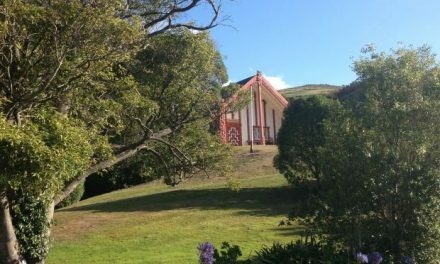 Te Kooti, whose presence is often felt in the hills of Te Urewera, was one who “lived by the omens of the sky, thunder and the rainbow, and waited for the time that they told,” wrote historian Judith Binney. It is challenging for a contemporary New Zealander to imagine how personal the land must have felt to pre-European Māori, and still does to many Māori today. Papatūānuku is not just a Gaia-like tip of the hat to nature; she is part of the literal whakapapa through which Māori trace their ancestry. Geography is experienced as a story, an ongoing and never-ending encounter. Topographical features, boundaries, food-gathering areas, sacred sites, event markers: the named landscape affords myriad links in a woven fabric of relationships that grows stronger and richer through time. We are apt to forget, though, that “Māori,” as a people, did not exist prior to their encounter with this Aotearoa landscape. I remember hearing Ngātiwai kaumātua Hori Parata say: “When we came to Aotearoa we were Polynesian. The land made us Māori.” Māori became tangata whenua, people of the land, through engagement with the land. For Māori, the process of being shaped by place began seven centuries ago. For Aboriginal Australians it began 70 times seven centuries ago. Out of the vast timespan of that reciprocal exchange has come a way of being in, with and of the land that is truly astonishing. 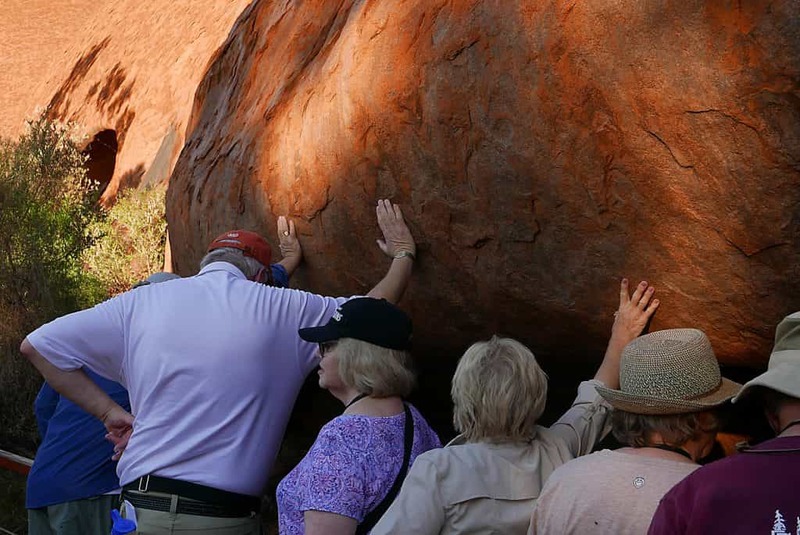 I sensed the immensity of this relationship when I was in Uluṟu in 2017, two days after the historic decision was announced that Uluṟu /Ayers Rock will be closed to climbing from October 2019. It was my first time in the Red Centre, my first time walking barefoot across warm sand the colour of saffron, my first time seeing the rock’s flanks flame in the setting sun, my first time peering into caves and overhangs where tjukurpa or “dreaming” — the cultural law that connects the physical and spiritual worlds — has been taught from one generation to the next for millennia. That era of cultural ignorance and moral offence is coming to an end. For the traditional owners, the closure of the climb sets right a historic wrong. It restores the integrity of what Māori would call the kaitiakitanga, or sacred relationship of care between people and place. At Uluṟu, I saw that relationship being mapped visually by Aṉangu women artists creating paintings in the cultural centre. Dot by dot, whorl by whorl, with fingertips and brushes dipped into enamel paint, they did the patient work of storytelling that preserves and nourishes their connection to this ancient landscape. Relationship to land — or “country,” the word Aboriginal people use as the best English approximation — is at the heart of Aboriginal being. As with Māori, the relationship is intimate and intense. 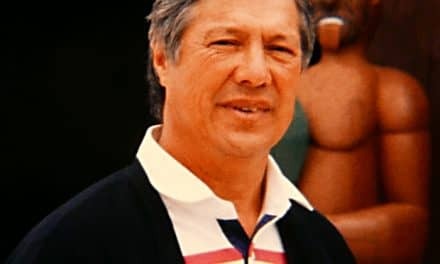 To be Aboriginal is to sense that one is part of “a multitude of invisible threads of connection, where people stand in a matrix that sees them able to call all people and all animate and inanimate things in country as kin,” writes anthropologist John Bradley. There is a sobering flipside to this engagement. If there is no one to sing the songs of country, the land suffers. It loses its life force — its mauri, as Māori would call it. It goes bad. It goes wild. Country needs humans to sing its song. When I first learned of this reciprocity it resonated within me like a struck gong. Surely this is relationship with the earth we were born for, created for. Is this not what the prophet Isaiah hinted at when he wrote that the mountains and hills will burst into song before us, and all the trees of the field will clap their hands? A generative and intimate encounter between people and place? Such reciprocal encounter is certainly at the heart of Māori experience, seen most movingly in the story of sky father and earth mother — Ranginui and Papatūānuku — weeping for each other: sky bathing earth in rain, earth responding to sky in mist. People join that circle of life-giving exchange, expressed in the phrase titiro atu, titiro mai — one glance directed at another, the other glancing back. As I understand it, the European tradition need not have taken the mechanistic, hierarchical, stadial route that it did. In Virgil’s Aeneid, for instance, we are told that Rome was founded on a forest inhabited by “a race of men that came from tree trunks, from hard oak.” That awareness, writes Robert Pogue Harrison in his book Forests: The Shadow of Civilisation, would have enabled the Romans “to feel in their veins a genealogical affiliation with the wooded world of nature.” In other words, a whakapapa connection. The same Romans who saw themselves as being born from the oaks had a concept close to the Māori understanding of mauri, the force that binds the physical and spiritual realms into a single entity. They called it the genius loci — the spirit of place. And in a graphic representation of reciprocity, the spirit was sometimes depicted as a figure holding a cornucopia in one hand and a libation bowl in the other. We receive from the land in abundance; we give to it lavishly our attention and care. Ominously, classical depictions often include a third emblem: a snake. Perhaps I’m whistling in the metaphorical wind here, but I hear echoes of the serpent in the Garden, uttering the original lie: “Take it. Take it all. You shall not surely die.” The West has surely fallen for that line, seeing earth as a cornucopia for unlimited consumption, with no reciprocal obligation to limit and nurture. The spirit of libation finds no welcome in the modern market economy. I saw that reciprocal exchange in action when I was researching a New Zealand Geographic story on Ngāi Tūhoe. 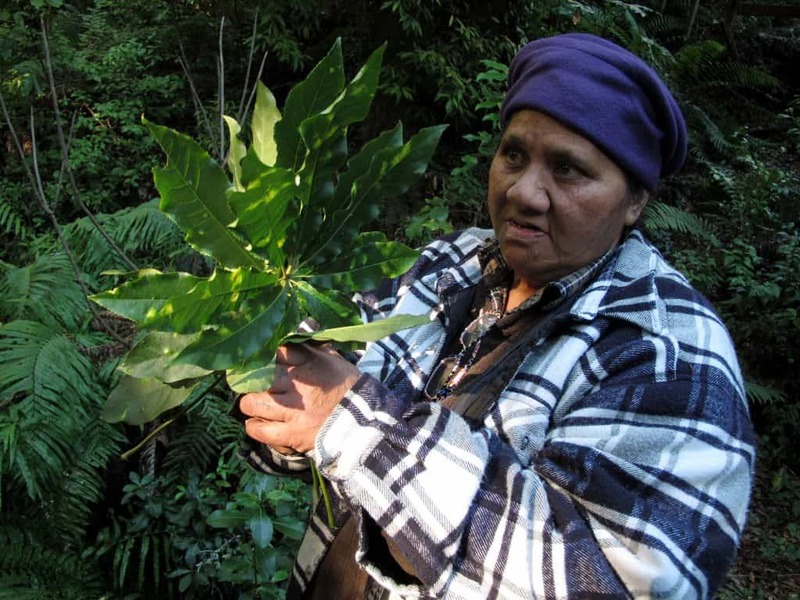 One morning, the late Nanny Pohutu, of Ruatāhuna, took me with her to collect leaves for rongoā, traditional Māori medicine. The day was clear and crisp, typical of midwinter in Te Urewera. Pohutu had already been in the forest that morning, soon after daybreak. Dusk and dawn are when the mauri of the forest is strongest, she said. We paused at the edge of te ngahere, the forest, for a few moments, and Pohutu said a karakia, asking the forest to welcome us. Everything Tūhoe starts with prayer. It is a matter of respect, an acknowledgement of human limitation, an orientation to the unseen world. We followed a sun-dappled path, and Pohutu pointed to this plant and that, stroking the leaves as she passed. Kokomuka, a species of hebe, for curing rashes. Manono, a coprosma, for cuts and sores. A type of fern for toothache. Tawiniwini, snowberry, to ease a cough. Makomako, or wineberry, for tired eyes. Kāramuramu, another coprosma, for detox. “Sometimes the tree tells you what it’s useful for,” she said. She reached towards me and twisted my ear hard, catching me unawares. Pick respectfully, she said. I got the message. Be mindful. Plants are the children of Tāne. Adjust your cosmology. Pohutu sang a waiata as she picked. Her soft, lilting notes blended with the sounds of a stream that babbled beside the path. The waiata, she explained, was sung in the forest and when cooking the plants at home to make ointments and medicines. It started and finished with the words: He aha koe e patai nei, e moko? What is your question, child? This is the timeless method of knowledge transfer in Tūhoe: the passing of Tūhoetanga across the generations, one child at a time. Frost called his poem “a history of the United States in a dozen lines of blank verse.” It is the history of New Zealand, too. It is the history of every settler nation. First the desire to possess, to own, to call the land “ours.” Then, later, a long time later — and for some, perhaps, never — the awareness of a need to belong, the impetus to preserve and respect. A turning away from objectification and towards subjective engagement, from resource to relationship, from land-as-commodity to land-as-identity, from foreign soil to whenua. Belonging takes place one step at a time as we engage with the places of our lives. Land calls, we respond. Titiro atu, titiro mai — one glance directed at another, the other glancing back. I see, and I am seen. Belonging comes about through knowing a place and letting the place know you. A conversation with landscape. I began this practice of knowing and being known over a period of months when I visited my local urban creek, almost daily, to see what I had to say to it, and it to me. It was like beginning a conversation in a foreign tongue — or rather a language once known but forgotten through lack of use. The word “conversation” comes from Latin roots that mean “an act of living with or keeping company with.” How perfect. For a conversation with place is not only verbal — though that is certainly part of it. And the earth is well able to reciprocate with tree talk, rockfall, glacier movement, subterranean rumblings and the manifold voices of the atmosphere as rain, thunder, wind and more. “Singing up country” can also be with the voice of the senses, of the soul’s articulation of respect, reverence and care and of physical responses to the world’s promptings. At Te Auaunga/Oakley Creek, I cup my hands and drink from a spring that the ancestor Wairaka drank from centuries ago. I was born within sight of the mountain named for her — Owairaka — and still today I view her maunga daily from my home. At her spring I pick watercress and let the sharp peppery tang fill my mouth. Body and soul, I connect myself to this place, this ancestor, becoming woven into their story. This process is enriching for both pilgrim and place, for recall the Aboriginal understanding that land that is not sung suffers and loses its generative spark. The alternatives are stark: choked, attenuated landscapes, starved of the oxygen of story and encounter, or cloaked, replenished landscapes, vibrant with the many voices of memory. Those voices of memory lead me forward to a conversation with those whose connection to place far exceeds my own in duration, complexity and intimacy. And here is the great absence and silence that lurks within Frost’s poem quoted above: he gives no recognition, no preferential honour, to the nations whose displacement and near erasure from the land provided the opportunity and the substrate for the belonging he seeks. As I see it, the invitation is to walk in conversation both with place and with those who hold the stories of place — stories that have emerged over multiple lifetimes and been woven into a literature that maps and matches the landscape. And so, when I approach Te Auaunga from one of its entrances, a newly opened cycle path, I pause beside a tall ironwork pou dedicated to a local iwi, Te Ākitai Waiohua, and say aloud the proverb printed on nearby signage: Te Ākitai oho moata, Te Ākitai awake at early dawn — or Te Ākitai “ready for anything,” as the panel interprets the phrase. The whakataukī reminds me of the last lines in Walden, Thoreau’s exploration of the deliberate life: “Only that day dawns to which we are awake.” I, too, wish to be awake to all the presences in this place, including those whose feet preceded mine and on whose shoulders rests the mantle of mana whenua. There is good reason to believe that a fully manifest conversation with place is impossible outside of a conversation with first peoples. This is the position that John Bradley has come to after a lifetime of learning from men and women who have caused him to reflect on what knowledge means and what purpose it serves. He has become wary “of an ongoing coloniality” in the way that stories can be turned into information and knowledge into disposable data stripped of its cultural context — a danger that is equally apparent on this side of the Tasman. If Bradley is right, then it seems to me that the appropriate stance for Pākehā taking a journey towards becoming native to Aotearoa is one of acknowledgement and aroha to our tuākana — the older brothers and sisters who precede us and show us the way. In my case, it is to Saana Murray, to the Tūhoe who welcomed me into their forests, homes and marae, and to an unknown man standing at the corner of a gravel road. Kia ora Kennedy, thank you for sharing your journey. it is a beautiful invitation to reconnect – I am offering ‘deep nature’ workshops that aim exactly at reconnecting people with nature in this way and an ongoing deepening of that connection. And I use Te Reo Maori in karakia and dedication as this is for me ‘the language of the land’, the language first heard by the land and therefore most deeply connected. It is very encouraging to read your article, gives me a feeling I am on the right track. 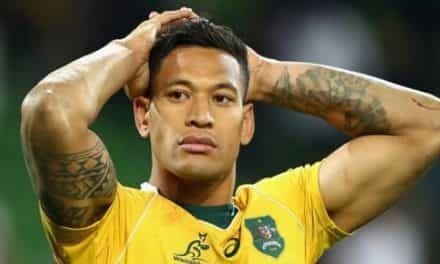 Tēnā koe Kennedy. Ngā mihi ki a koe i tōu korero i te wā nei. Kei te pirangi ahau i tāu pukapuka. If this ‘isn’t us’, who are we? These words come at time of incomprehensible sorrow and grief as our nation contemplates an act of soul shattering violence. It is not our act, but we understand its genesis and its ongoing resonance. We hear the echo of bullets – dark ripples reverberating. They tune our ears and amplify the background vibrations of our colonial past and the ‘unconscious racist biases’ of our present. Hateful sounds woven into this nation’s song. I cry. I hear this sound and I ask myself. Who am I? Where am I standing? How can I live here, authentically, honestly, peacefully? How can I resist and unravel the narratives of white supremacy, those that are common and every day, as well as those that are rare and infamous? As Pākēhā how do we arrive, here? An island archipelago in the South Pacific, surrounded by Te Moana-Nui-a-Kiwa. First discovered by knowledgeable Pacific Island seafarers and navigators. Named, settled and governed according to tikanga Māori. Are we brave enough to step outside the imaginary world we have created ‘halfway between America and England’? Our dreamy white pavlova paradise populated by smiling natives, buzzy bees and plastic tiki. What will it take? 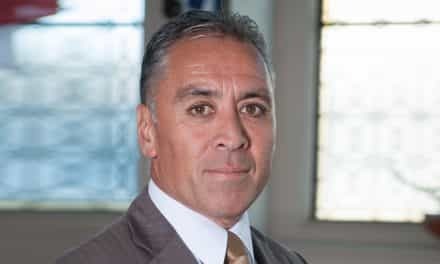 Can we meet tāngata whenua ‘kānohi ki te kānohi’, face-to-face? Can we hear the karanga calling us and our ancestors onto to this land? Are we willing to claim our original ancestral homelands? Or do we awkwardly mumble someone else’s pepeha as though this land belongs to us? Can we thank Māori for their manaakitanga and recognise their mana, in the same way that they greet us and recognise our mana? How do we learn to be honourable and respectful manuhiri? I want to arrive here. To discover who I am through honest conversations with tāngata whenua. Listening to this land and its people. Learning to speak te reo Māori. Trying and failing, then trying again to understand the complexities of Te Ao Māori so I can better understand our two worlds. I am Pākehā. I am not a white supremacist colonist. E mihi ana ki ngā tāngata whenua. Tēnā koutou. Ngā mihi nui ki a koutou i tō koutou mātauranga, i tō koutou tikanga, i tuku iho mā tātou. Nō reira, tēnā koutou, tēnā koutou, tēnā tātou katoa.